Today I want to start a series on how classic adventures can be used with D&D Next. With recent announcements suggesting that we won’t get some additional playtest content for a while, this is hopefully useful. How deeply I delve into the subject will in part depend on your feedback. If this is useful, I’ll keep the series going longer. One of the joys of D&D Next is that it translates really easily to previous editions. I have a vast collection of old adventures (and classics can be often had for $10 or less through your local gaming store or on E-Bay. Update: pdf versions of D&D material can now be found on D&D Classics.com, including Keep on the Borderlands!). Starting with 3E it became really hard to use old content, because the style of play had really changed from many small encounters to several meatier choreographed adventures. The narrative also evolved from an improvisational arrangement between DM and players to more like actors in a movie with specific touch points where players made choices. Monsters in later edition were very specific, intended to create a certain type and level of challenge. Modifications required a lot of time investment to ‘upgrade’ the classics (for example, you can’t take a room with 20 orcs and just easily create the same experience in 3E). Those changes make it harder to take a sprawling complex (such as in Temple of Elemental Evil) and translate that to modern editions. With D&D Next this changes. Suddenly you can take any number of classic adventures, grab the playtest’s Bestiary (or 5E’s Monster Manual or free rules) and play! It is almost that easy! Almost. As I wrote previously in discussing OD&D, trips back to classic adventures can suddenly remind us that adventure design has come a long way. Classic adventures look great through the lens of nostalgia, but room after featureless room of the same creature can get pretty old today. Old adventures often lack realistic motivations for the party, have weak story and lack a developing narrative, have little understanding of balance, feature dungeons that are far too static (especially when it probably takes months of in-game time to clear the dungeon), and lack a lot of the cinematic excitement of newer adventures. We’ve simply come to demand more and modern adventure design has advanced in step with those expectations. What I want to do is share some of my group’s experiences with using D&D Next to easily create fantastic experiences with classic adventures. Aiding us in our goal, the playtest adventure actually does some of the hard work for us. To give this all perspective, let’s first look at the history of the playtest packet’s adventure. 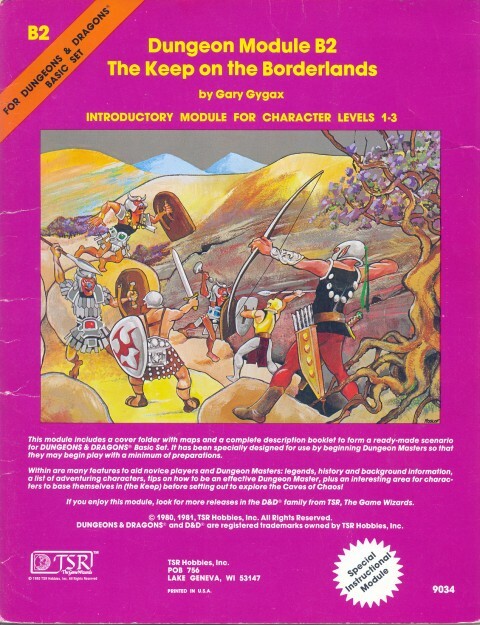 The Caves of Chaos adventure included in the first D&D Next playtest packet is based upon the classic B2 – The Keep on the Borderlands adventure. On the one hand, there is a tremendous amount of history behind the adventure that works well with Next’s vision of speaking to previous editions. B2 first appeared in the 1979 sixth printing of the first Basic Set and continued to be the default adventure (replacing B1) for three years (through the next set which I started with) and then ending when the ‘Red Box’ edition of Basic was released. It was also sold separately during and after that time. Inclusion in the boxed set made this a very popular adventure. Many gamers of that era count Keep as one of the first adventures they ever played (if not their very first). It was ranked #7 all-time in the 2004 Dungeon magazine ranking the top 30 adventures. In part, that ranking was based on it having been an influential experience for so many gamers trying out D&D for the first time… a near-perfect fit for the playtest of D&D Next. And the fit doesn’t stop there. There were several reprints including the 1984 10th Anniversary Collector’s Set, the 1999 25th Silver Anniversary Collector’s Edition set, and the 1985 super-module B1-9 (a pdf bundle of B1-B12 can be purchased here). It was revised for AD&D 2E as Return to the Keep on the Borderlands, progressing the story of the Caves by 20 years and presenting new threats (and sloppily moving the adventure to the Greyhawk setting). However, the revision was not particularly well received. 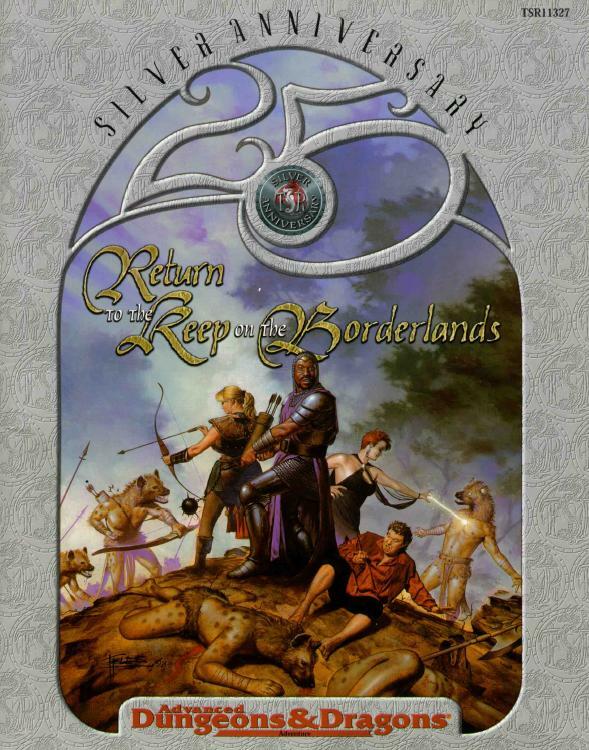 The adventure was even turned into a novel in 1999! The RPGA Adventure Guild program (an early/primitive version of Encounters) released an in-store adventure linked to the product, named Displaced. 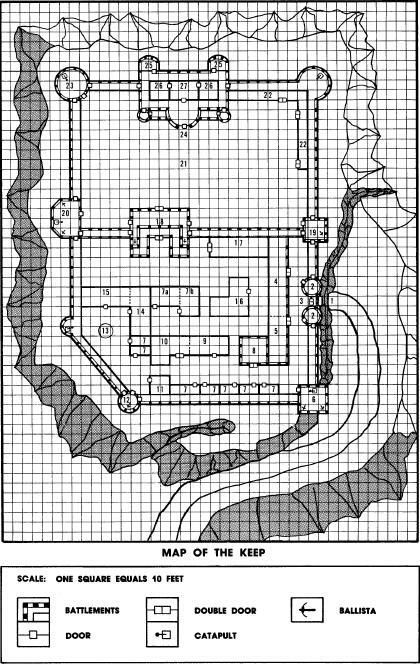 Fourth Edition saw The Keep on the Borderlands released first as a 2010 article by Mike Mearls in The Keep on the Chaos Scar (Dungeon 176), where he revises the Keep as Restwell Keep, greatly fleshes out its inhabitants, and sets it in Nentir Vale. 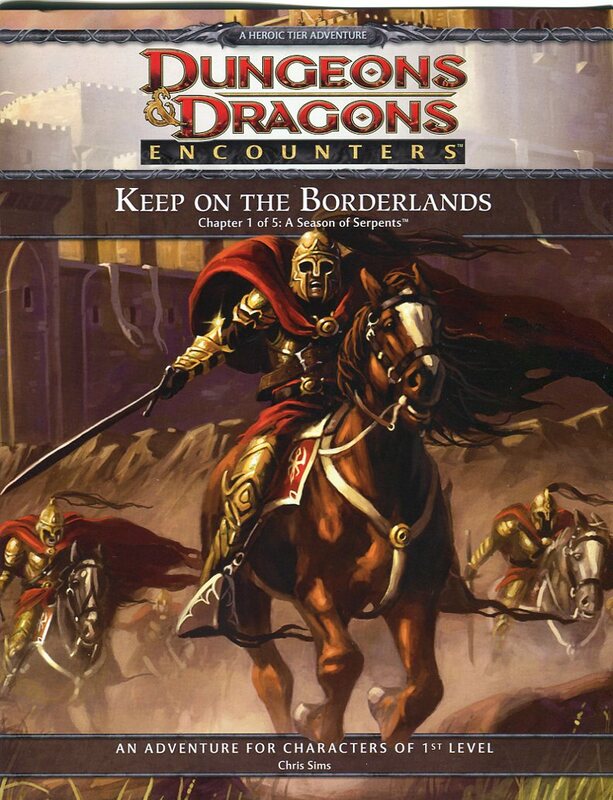 4E then released The Keep on the Borderlands in late 2010 as a five-part Encounters season adventure by Chris Sims. Well regarded, it spun a variation on the tale of the Caves and the inhabitants of the keep, including some really cool battles against foes not in the original. And, I must admit, I’ve thought of it that way in the past. The Keep arguably isn’t that bad by the standards of 1979, but by today’s it really lacks a narrative, interesting NPCs, and ideas for how the DM can launch adventures and both develop and interact with the players’ goals. The Caves contain a jumble of creatures that shouldn’t get along, all packed right alongside one another. That could actually be interesting, but almost no thought is given to the relationships which must exist. In the hands of a capable DM, this can be overcome easily. For me, this adventure was one long dungeon crawl with little to differentiate the various clans. We killed because they were evil. We looted. We died. New PC, next cave, etc. Recognize the Problem, then Fix It! Those quotes by someone not liking the original Keep? That was Mike Mearls on RPG.net in 1999. Surprised? I’m not. Mike’s an awesome person and an awesome gamer. From my limited exposure, he analyzes, learns, and improves constantly. Like us, he likes talking about stuff on the Internet and not every post is going to be perfect. And yet, look what he did about his original criticisms. He complained about how the Keep lacked NPCs with names and then 11 years later wrote the DDI article that fixed that. And then he approved Encounters fleshing out the adventure and the use of the Caves for D&D Next. At the D&DXP convention he asked a few of the DMs for feedback based on our runs. We discussed with him how Caves of Chaos could be seen negatively if it was “just a delve” and PCs died to rooms with 20 orcs because a DM didn’t know what to do. While I have no idea if that discussion helped, the open playtest version adds a whole new section speaking directly to those issues. Talk about constructing something out of your criticism! In the next blog post we will look at what the playtest packet adds to the classic adventure, using that as a template for future efforts to update classic adventures for D&D Next. I’ll also share elements I’ve added from my run and ideas for additional changes. – As I was first drafting this, Joining the Party wrote about this subject, including some links to Sly Flourish’s idea on using Fiasco-styled relationships. 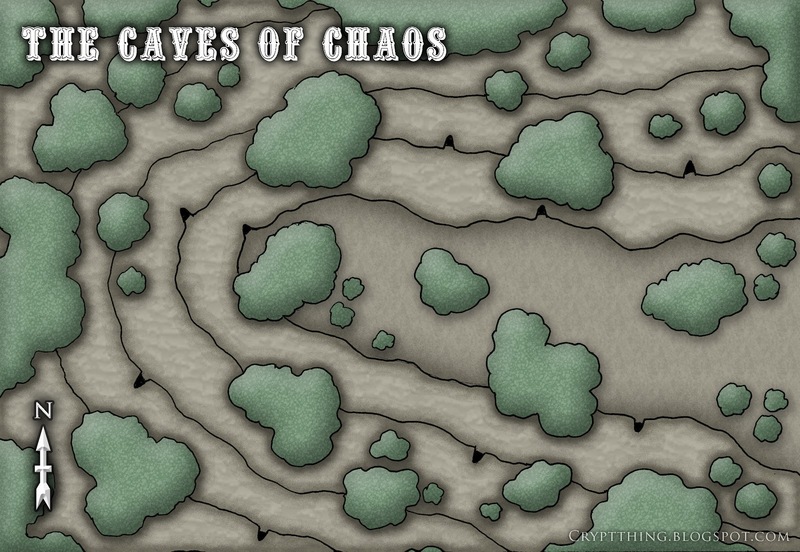 – D&D Corner – created a detailed cloth battlemap of the entire caves! 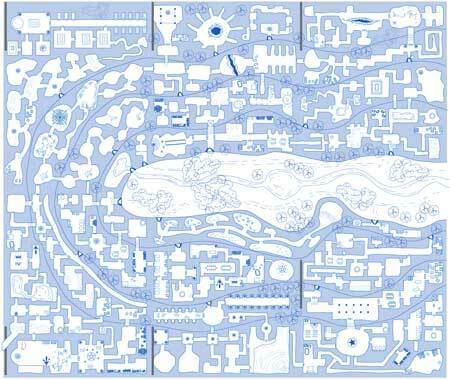 – 0one Games created maps of the caves (really cheap) as part of their Blueprint Series. The detail they added is really impressive. 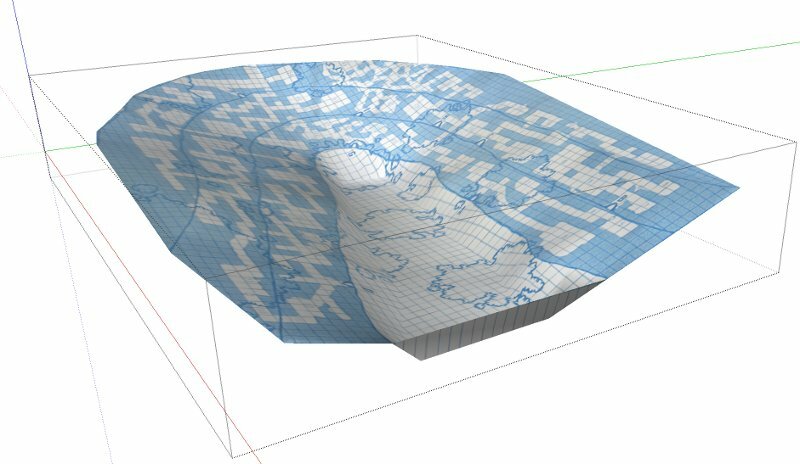 – Dungeons & Digressions made a Sketchup 3-D version of the caves. 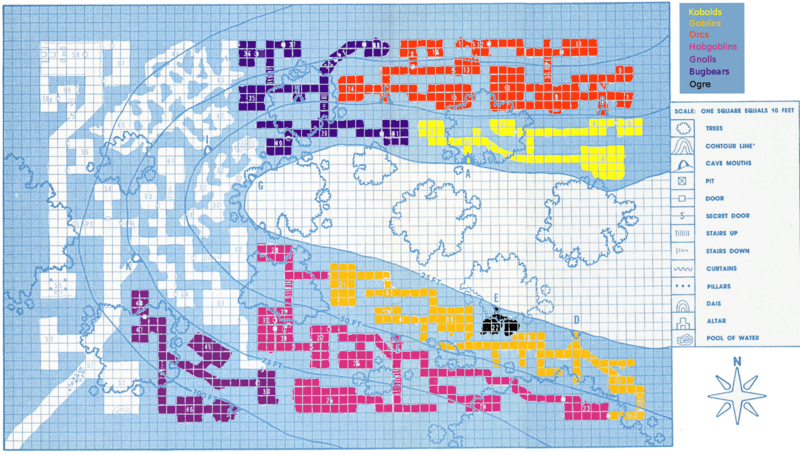 – The Weem made an incredible full-color rendition of the Caves for use with the playtest. 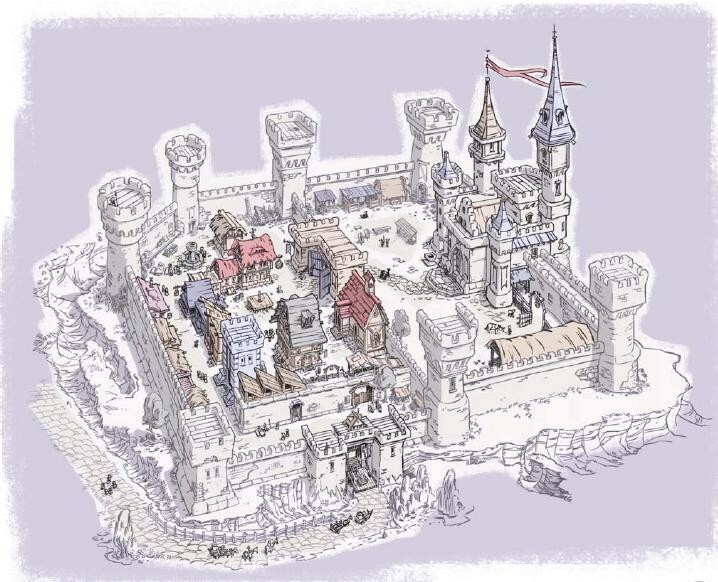 – EN World is one of many places where fans shared their own conversions of the Keep to different editions. 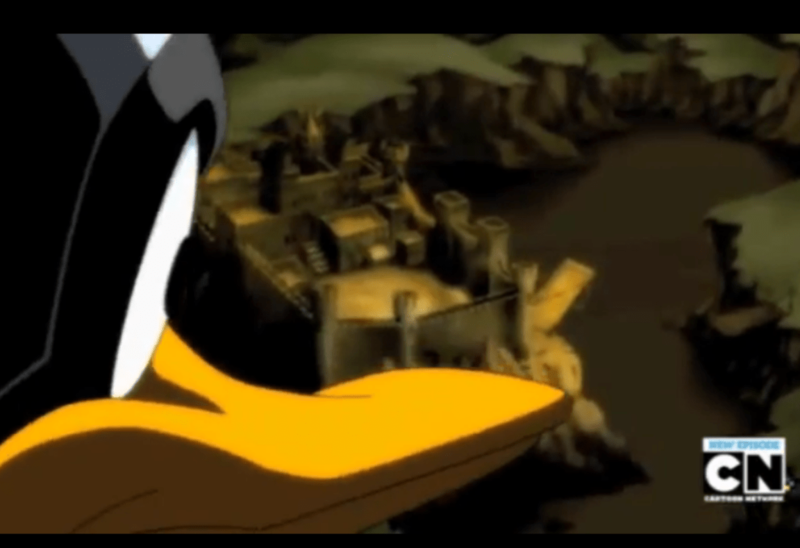 – If a while back you watched a funny video of Daffy Duck as a D&D style sorcerer, it may surprise you to see how Carjacked Seraphim noted the keep in the video is styled after the Keep on the Borderlands! 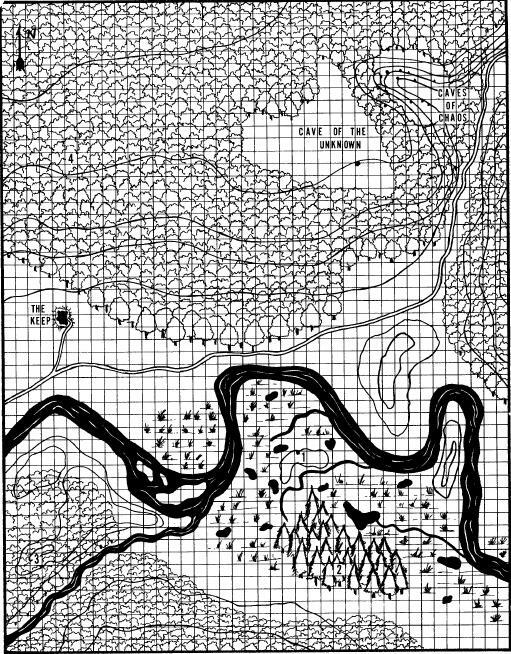 – Isomage made a really nice color hex map of the outdoor map in the adventure. – The Circle of 8 (fine folks that fixed the Temple of Elemental Evil video game) have Keep on the Borderlands wallpapers. 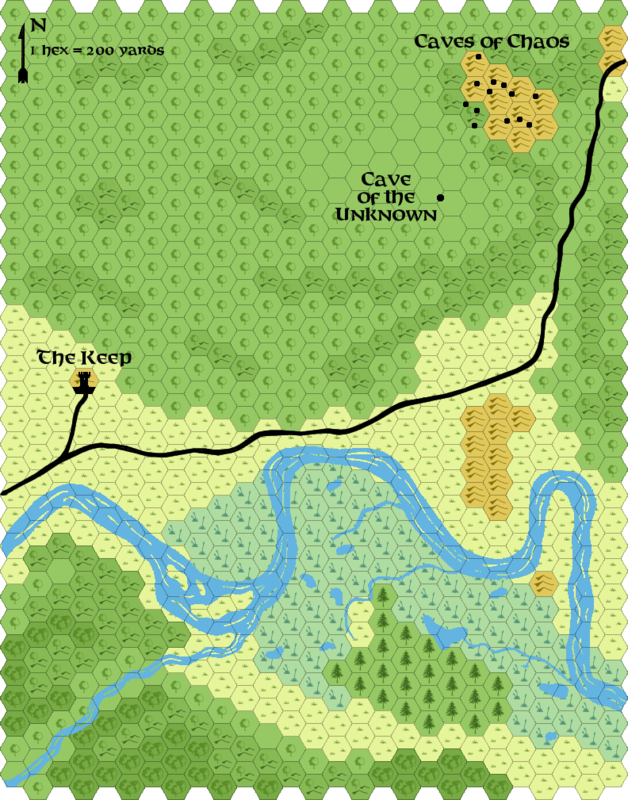 – A player map showing what the players first see when they reach the Caves. The classics sure inspire! We will look at another classic next time. This entry was posted on October 16, 2015 by Alphastream and tagged 5E, Authoring, Basic, Conversions, RPG History, Setting.